The Yale University Ranking is 3rd best in the USA and 11th in the world on the University Review College Listings. It is ranked as the 3rd best college in the states by the USnews, and the 6th best by Forbes. The total composite SAT Score range (verbal plus math; middle 50%) for accepted applicants is 1410 to 1590. The admission requirements for ACT (25th-75th percentile) at Composite is 32 – 35. TheYale tuition fees are $45,800 for both in- and out- of state students. It is an extremely selective college accepting 7% of applicants. Financial aid offered totals $125 million per year, an average of $46,850 per student. Yale was founded in 1701. The location of Yale University is in New Haven, Connecticut, United States of America. It is a private Collegiate institution modeled on those of Oxbridge there are twelve residential colleges and it is the third oldest university in the USA. It is an highly select university and typically accepts just 10% of applicants. There are around 5400 undergraduate students and nearly 6100 postgraduate scholars, in addition to the 3300 faculty. 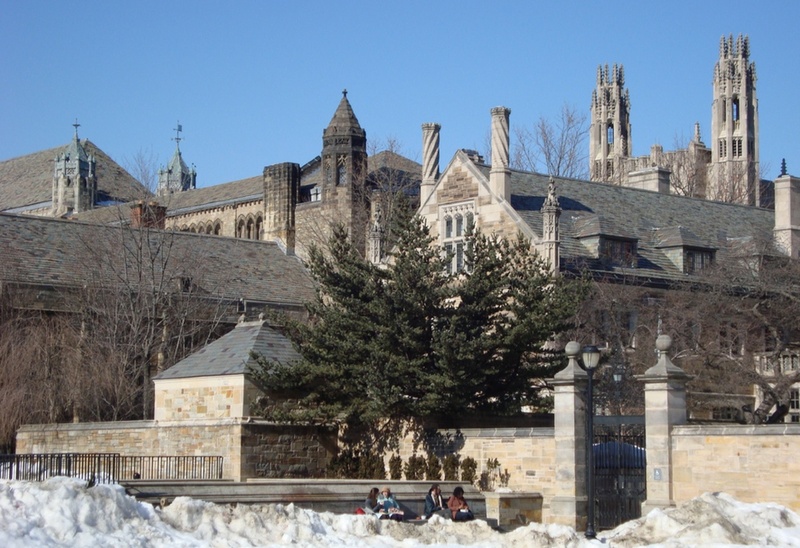 Yale University has an endowment of 20.7 billion US dollars. The President is Peter Salovey. The school mascots is the Bulldog. The libraries of Yale hold over 11 million bound volumes. It is a member of the Ivy League. Yale Campus photograph by Adam Jones. 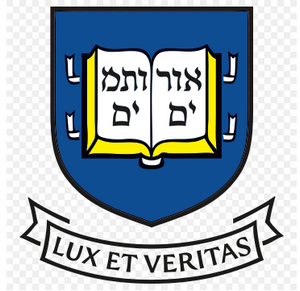 Yale University is a private, coed college college that is located in an urban locale in the city of New Haven, Connecticut. Currently, there are a total of 12,109 at Yale. Of these, 5409 (44.7%) study at the UG level, and 2860 (23.6%) study at the postgraduate courses. At the undergraduate level, 5300 attend full-time whilst 109 study part time. Geographically, 7% come from instate while 93% are from out of state. There are about 11% from foreign countries. 2,671 women attend Yale University, while 2,738 men study at the UG level, giving a ratio approximately 50 : 50. Ethnically, the UG student body can be broken down to 62% White, 17% Asian, 8% black, and 8% with Hispanic or Latino backgrounds. This college is currently ranked as the joint 3rd best in the United States, and the 11th best in the world in the University Review College & University rankings, and is considered as the 3rd finest nationally in the USNEWS U.S. News & World Report. The costs of tuition for studying at this university are the same for instate and outstate students at $45,800. Also add $14,000 for room and board expenses, and $3,300 for books. Bringing the price of studying at this leading establishment to $63,100. Yale provides a needs-based scholarship fund of $122,218,636, and has non-needs based funds of $262,953 available, making a total of $122,481,589 accessible as scholarships to their scholars. Average financial aid given to every student is $44,283; around 52% of all students are provided some kind of help with their finances. Yale University is an extremely selective establishment with acceptance rates of just 7%. Last year 29,610 applied to attend, of which 2,043 received acceptance. Of those receiving admittance 1,359 (67%) went on to matriculate to the school. The fees for applying to the university are $75 for undergraduates and $100 for post grad studies. for writing, and 710-790 for Math. Thirty-two percent of applicants applied with ACT scores. The twenty-five to seventy-five percent percentiles for the composite score were 32–35. The most essential factors for admission into the college are the essay, extracurricular activities, standardized test scores, secondary school record, character, recommendations, class rank, and particular ability. Other important aspects for entrance include an interview. The address to apply for study at Yale is ‘Office of Undergraduate Admissions New Haven, CT 06511’. The telephone number is (203) 432-9300, and their website can be found here. The college offers approximately 2,000 courses, with the most prevalent being Economics (11.0%), Political Science (10.4%), History (7.4%), and Psychology (6.5%). The class sizes are: less than 20 (76%), 20 to 49 (16%), and 50 or above (8%). The college has two major campuses, with the main one located in downtown New Haven, Connecticut. In all, the campuses contain an area of 1,079 acres. The university’s sports teams compete at the NCAA DIVISION I level in the ECAC, and the Ivy League. The sports teams are known as the Bulldogs. Men compete in in 16 varsity events, while women take part in 18 events, making a total of 35 varsity events in all. The college currently employs about 2,964 full time academic faculty, and 1,215 part time (4179 total). The student to teacher ratio is 6:1. About 90% of new undergraduates graduate the school within four years, while 97% within six years. In the previous year, 4,116 students graduated the university; they received 1,308 Bachelor’s, 2,118 at the Master’s level, and 690 at the doctoral level. Although many students are not overly impressed by New Haven itself they are big fans of Yale’s campus. Most visitors felt that the beauty of the campus left a lasting impression and the architecture was stunning. Students commented that they like that Yale is split into a series of smaller colleges, giving the university a more intimate feel than many other leading universities. As is to be expected from one of the Ivy League universities, the buildings are immaculately maintained, and are in a constant cycle of renovation inside to maintain fantastic interior classrooms. The architecture itself is gothic and beautiful, and the campus looks gorgeous whatever the season. Back to New Haven, many consider it a gritty sort of city that you will either love or hate. The size of the city does mean that there is a large selection of restaurants, cafes, and bars. Unfortunately many parts of the city are considered dangerous; this is not really a problem, as most people know to keep out of these areas. As a student city (the university of new haven is also here) there are many businesses in New Haven that cater specifically for students needs. Safety on the campus at Yale itself is fine, though some students comment that there does not seem to much security measures on site given its proximately to New Haven. Conversely others state that there are more than enough security staff around and that the university runs a blue light system, and the campus police offer a shuttle service for those who require it. The dorms are very variable, with many people commented on their large size, suite nature, wooden floors, and the community feel if the residential colleges. However, some people comment on the lack of air-conditioning, and that they tend to be a bit messy. The Yale Libraries hold over 12 million volumes; this makes them the second largest collection of published work of all universities, second only to the Harvard libraries. The largest of Yale universities libraries is the Sterling Memorial Library; this holds around four million volumes. Other colleges in Connecticut state include the University of Connecticut Health Center, University of Connecticut, Wesleyan University, and Southern Connecticut State University.